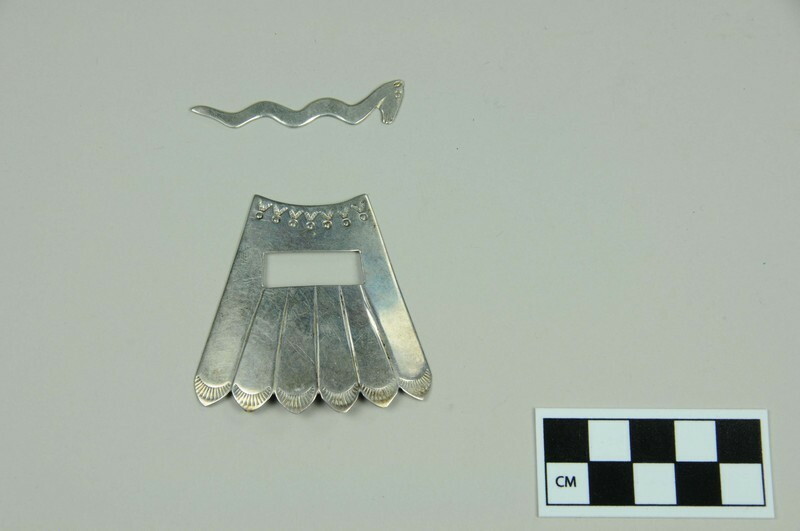 Two-piece Navajo silver hair ornament. The base of the ornament (a) looks like feathers in a fan shape. The top has small triangle and circle stamped designs. 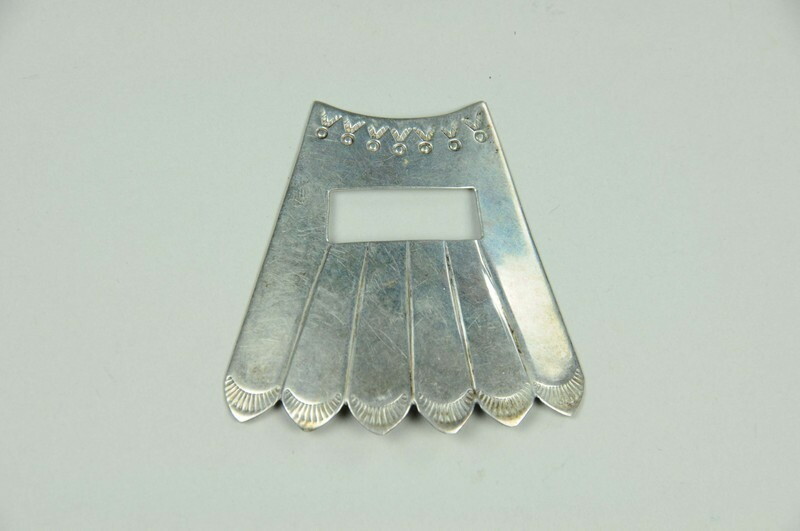 There is a rectangular hole for inserting the pin to hold the ornament in the hair. 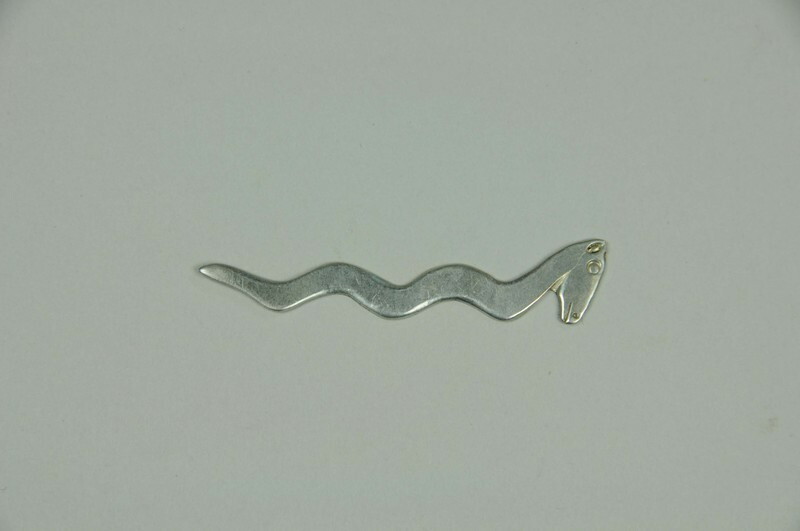 The pin (b) is snake-shaped, but the head appears to be a horse head rather than a snake head. There are stamped features of ears, eyes, nostrils, and a mouth.